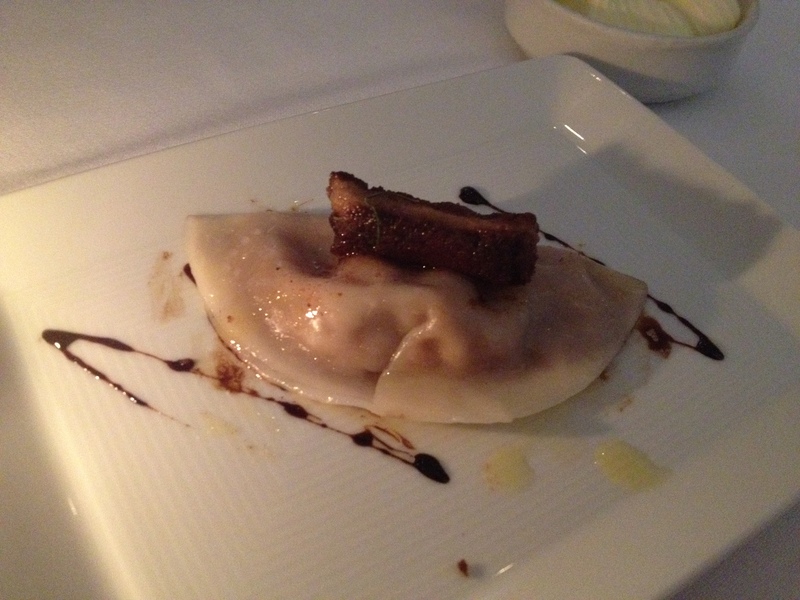 The star of this meal was the foie gras soup dumpling. 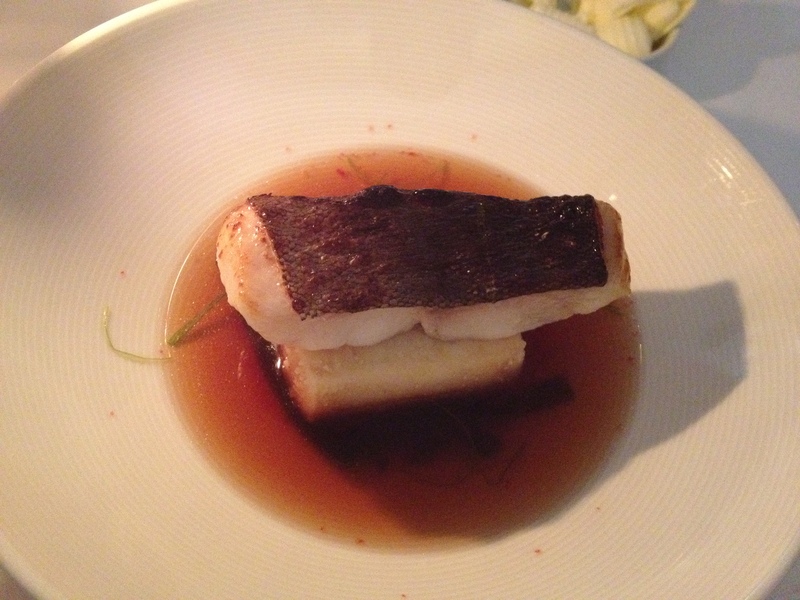 If you only have time to see one dish in this post, jump to that one. WORDS CANNOT DESCRIBE HOW AMAZING IT WAS. 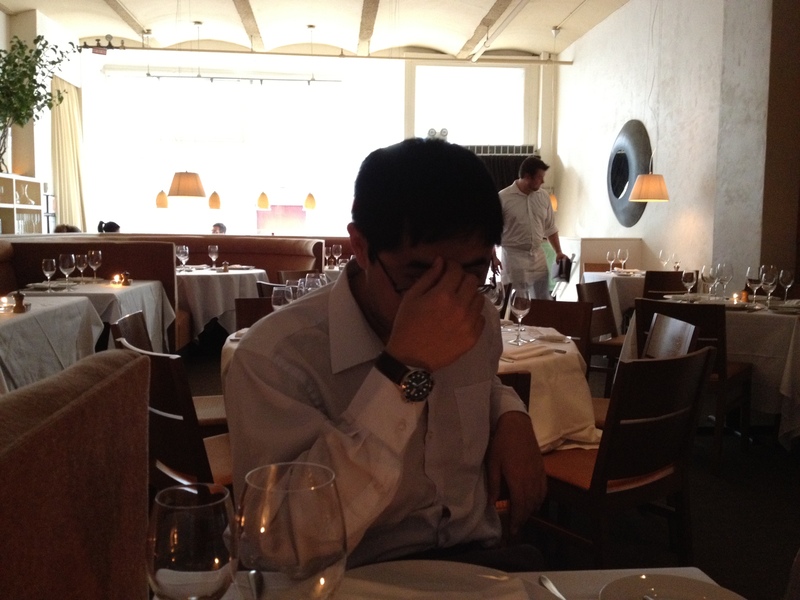 The restaurant is relatively small for a fine-dining restaurant; we sat at the far wall, and here’s a view of pretty much the entire restaurant. The entrance to the kitchen is in the left corner. 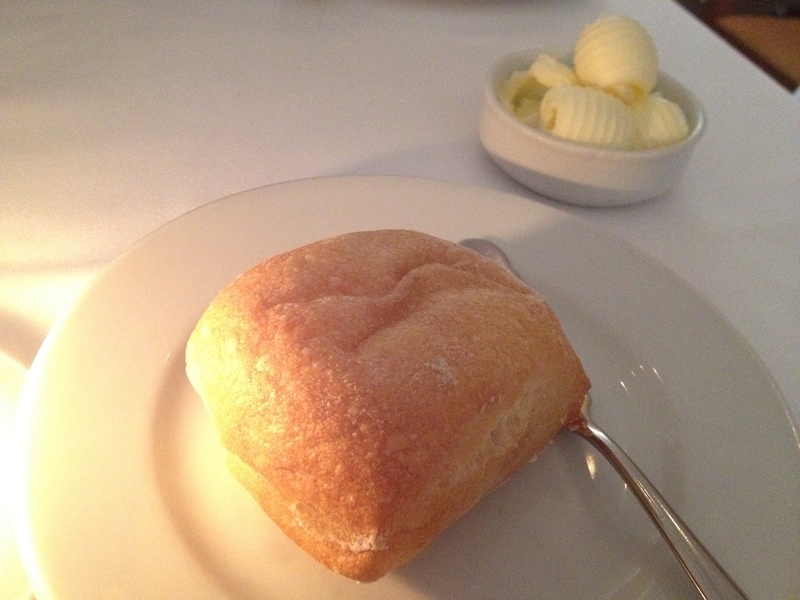 The bread was okay; it wasn’t warm and fresh, but at least it wasn’t that cold or anything. Duck roulade with whole-grain mustard and chives. 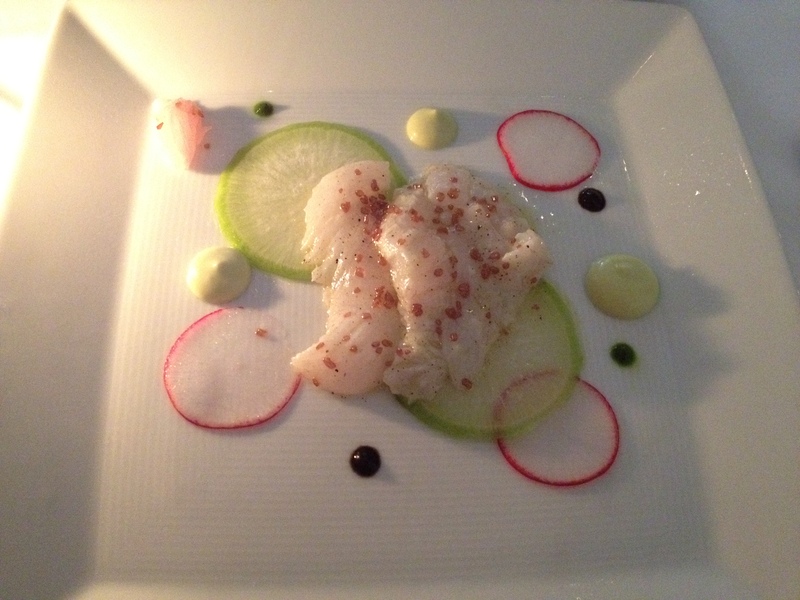 -Fluke crudo with Hawaiian pink salt. -Three sauces: lime, avocado, and chive purée. -Top left is “engawa” (fluke fin). 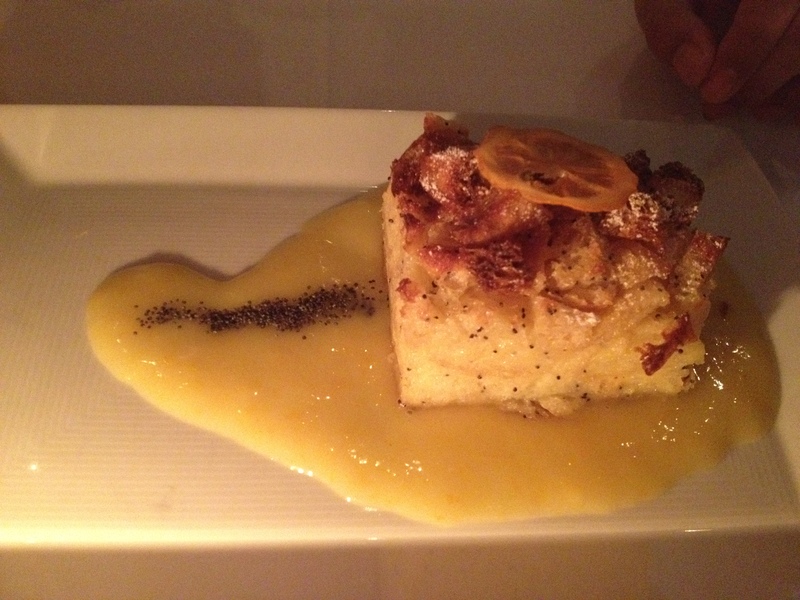 -Seared foie gras on top. 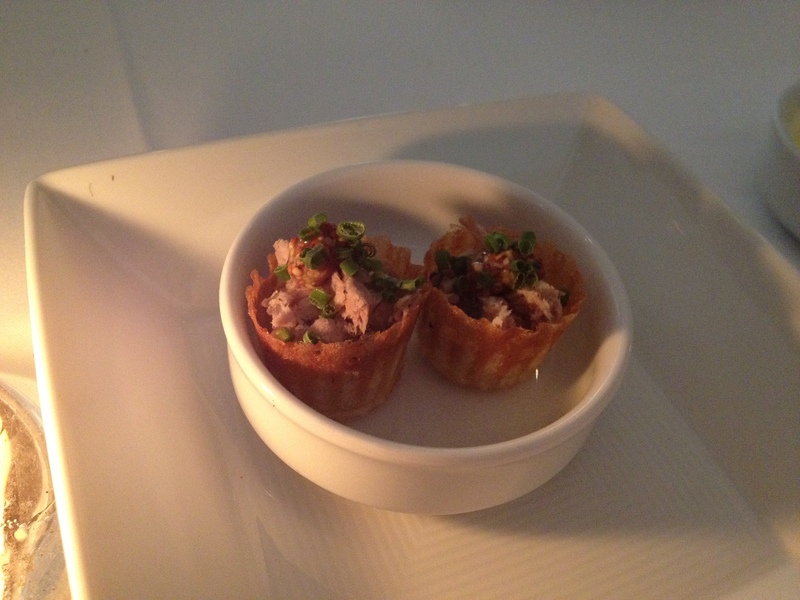 -The soup inside the dumpling has foie gras mousse and Jicama. -There is also Chinese black pepper sauce on the bottom. 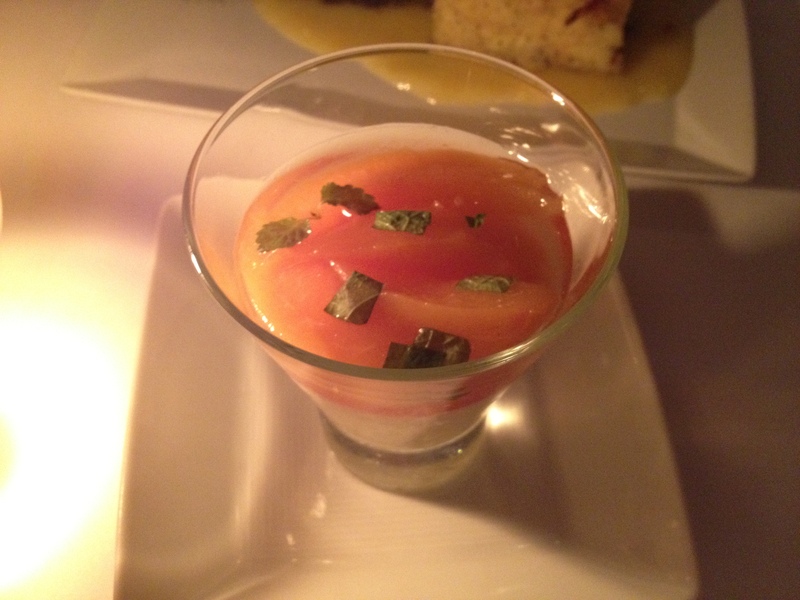 -This was my favorite dish; it was by far the most memorable. I’ve basically had a version of everything else in this menu somewhere else, so this was the one “special” thing I had here. -Foie gras works really well with the whole “dumpling” concept haha; I guess this shouldn’t be a surprise because of how so many people serve bread (brioche) with foie! 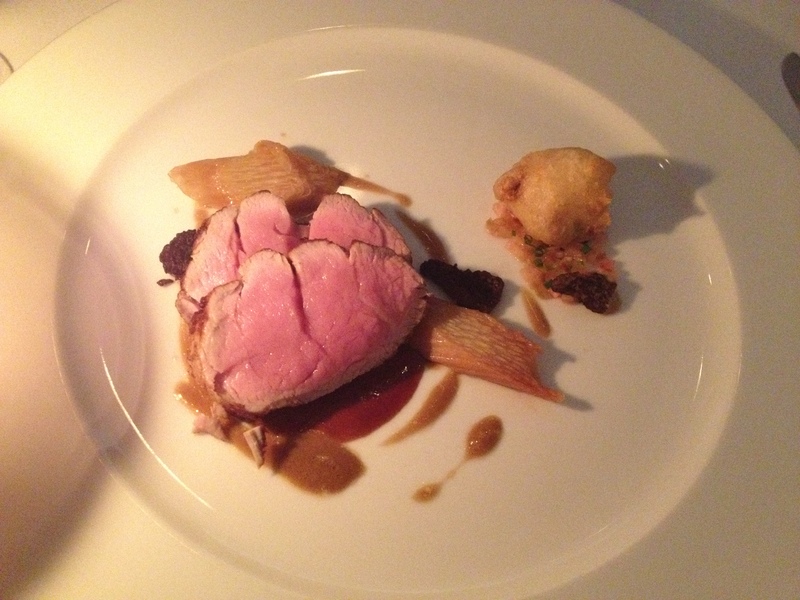 This dish was also really good, and it was my second favorite. The broth was amazing, the combination of sable and tofu definitely worked, and the sable was solid (however, it wasn’t EXCELLENT). 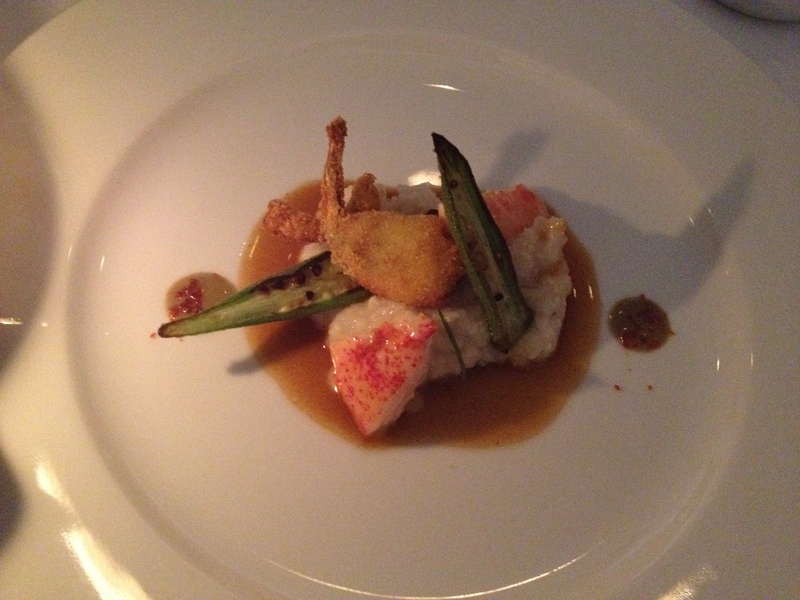 -Fried frog’s leg and butter-poached lobster with seared okra. -On the bottom, there are seared grits over butter-lobster sauce. 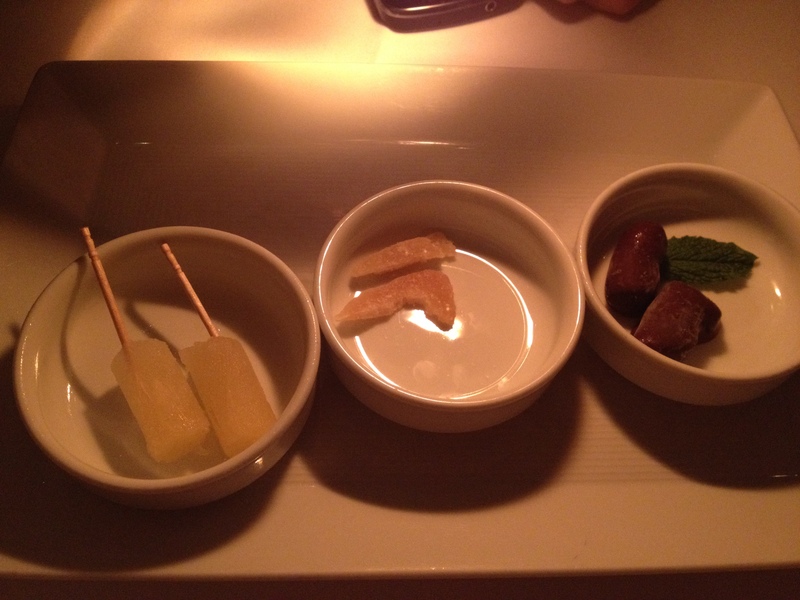 -On the right, there is a fried calf brain. 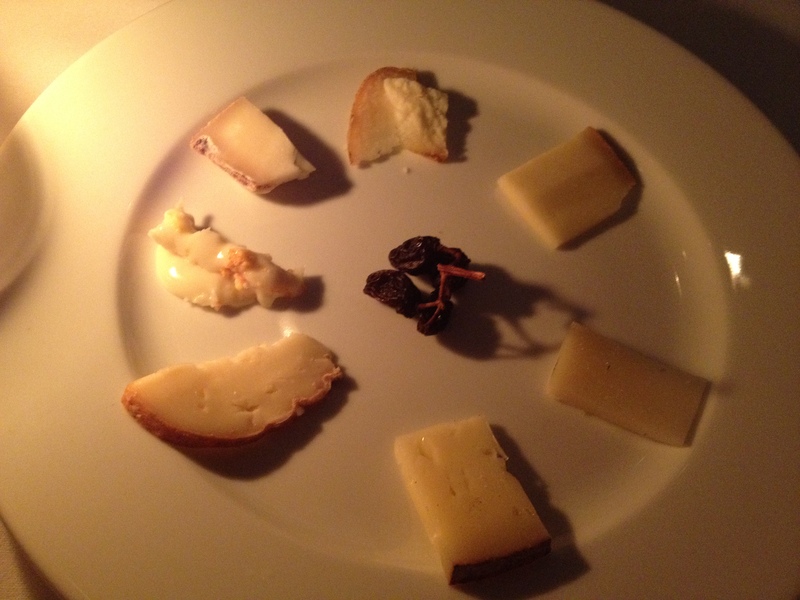 -12: Cheese from Bellwether Farms in San Andreas, California. Sheep’s cheese. -2: Tarentaise. From Spring Brook Farms in Vermont. Cow’s cheese. -4: Malvarosa. From France. Sheep’s cheese. -5/6ish: Weinkase Lagrein. From Italy. Cow’s cheese. -8: Pata cabra. From Spain. Goat’s cheese. -9: Brebirousse d’Argental. From France. Sheep’s cheese. -10/11ish: Blu di Bufala. From Italy. Buffalo cheese (blue cheese!). 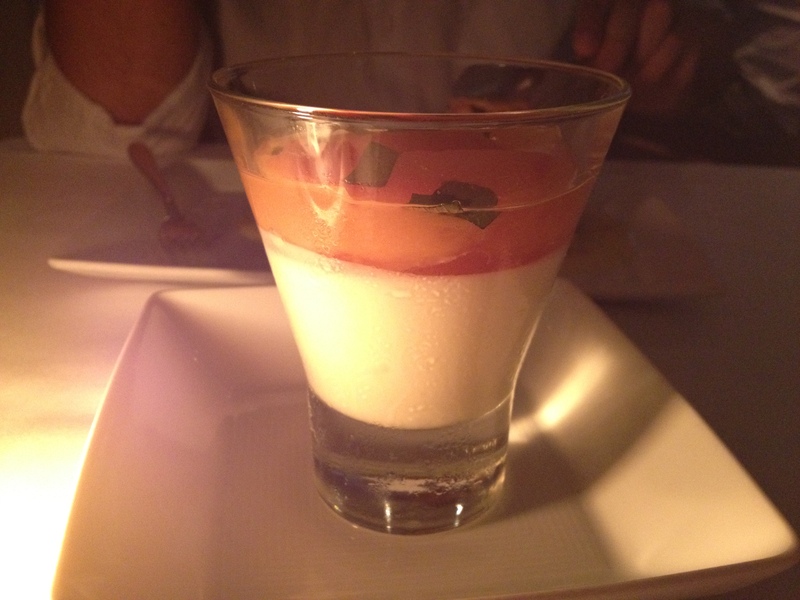 Our server told us that this was basically a British panna cotta haha.